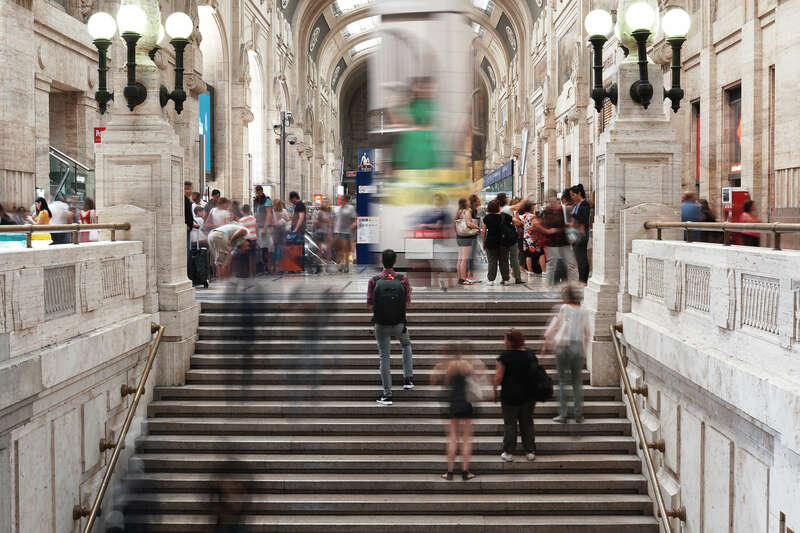 Travelling is an integral part of my job as a videomaker and certainly one of the most exciting aspects, as it gives me the opportunity to visit fascinating and far-flung countries. However, this means that I always need to have all the necessary video equipment to hand, sometimes hauling it on arduous and demanding journeys to reach the shooting location. 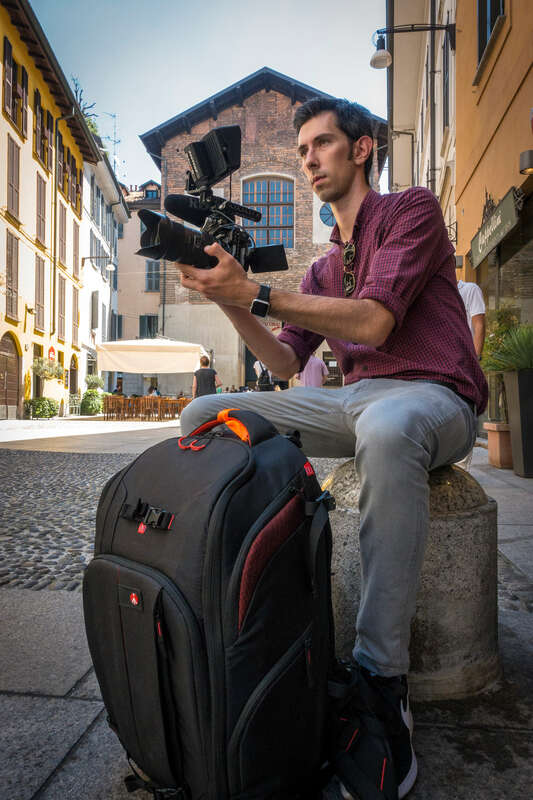 The Manfrotto Pro Light Cinematic Expand backpack is the right answer to this need because it was created specifically for one-man-band videographers and provides good weight distribution, due to the capacious and compact design. I was offered the opportunity to test the Cinematic Expand while working in three extraordinary cities: Amsterdam, Milan and Montecarlo. During 20 days of filming, I found that the bag’s structure allowed me to carry a video kit suitable for multiple shooting situations. 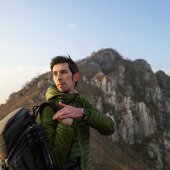 The Cinematic Expand backpack enabled me to easily carry two camera bodies, four lenses, a monitor, a microphone, several batteries, a DJI Osmo Mobile 2 gimbal stabiliser and other small accessories. 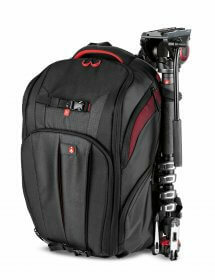 And thanks to the two external straps with clip closure, I could comfortably carry a tripod with video head. Another cool feature is that it can even hold a 15” laptop and a couple of hard disks, so you can start post-production while still on the move, which is particularly advantageous on longer journeys. All the internal dividers of the Pro Light Cinematic Expand backpack are movable, so users are free to set up the interior to fit their own equipment. In addition, this modularity of the interior spaces—a feature that I always enjoy seeing in Manfrotto backpacks—allows you to stow and protect your camera with the monitor and microphone still attached, which is priceless during particularly intense shooting assignments, where time is tight and you need quick access to your gear in order to capture the moment. What makes the Pro Light Cinematic Expand even more practical is that one of the internal compartments can be accessed directly via a side pocket, where I usually store my small Manfrotto stand and DJI Osmo Mobile 2 stabiliser. On the opposite side there are two practical pockets suitable for conveniently stashing a Sony RX100 Mark V and spare batteries so that they’re always within easy reach. What should you do when fitting everything into the Pro Light Cinematic Expand becomes a bit of a squeeze? Simply unzip the front pocket to free up a few more centimetres of space for your gear. The backpack has attractive, high-quality finishes, especially the red plastic cover on the zips of the main pocket, which also protects them and makes them easier to open. 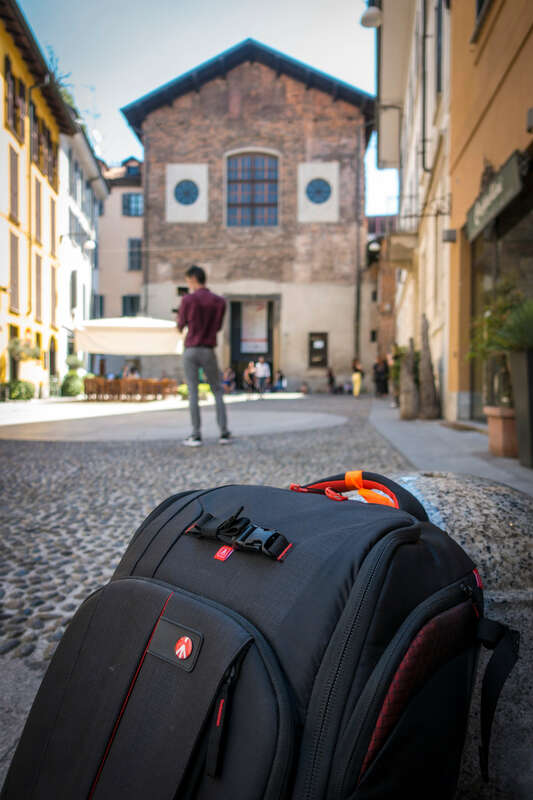 In conclusion, the Pro Light Cinematic Expand backpack proved itself to be a great product: spacious, ergonomic and versatile. It’s perfect for occasional users who occasionally need to reorganise their kit to suit the job at hand. To follow my adventures @theherdrepresented @marcorivavideo.